You are what you read -- and perhaps where you read at. In recent years, bookstores have been disappearing at a fast rate. Aside from major franchise bookstores in downtown areas, many small, neighborhood bookstores have closed, forced out in the digital era. But lately, bookstores have been returning in different forms. New bookstores sell more than just books, offering a wide range of goods from stationery, food and drinks to various merchandise -- anything related to lifestyle. The trend started with the Kyobo Book Centre, the nation’s largest bookstore franchise, following the model of Tsutaya Books. 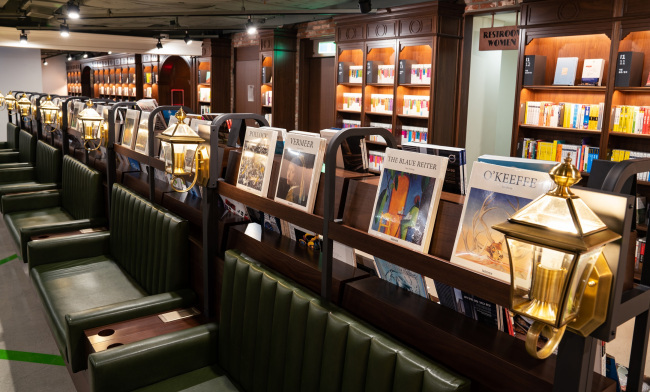 The Japanese bookstore chain established a successful business model, attracting consumers who may not necessarily be interested in books with its retail products and in-store restaurants. The business went against the prejudice of a bookstore as a place where you a person just buys books. Providing comfortable seats for people to read, it helped create a larger reading population. Following Kyobo Book Centre’s success, more bookstores opened, offering more products and services than just books. They bill themselves as lifestyle-curation bookstores, or culture complexes. Arc N Book, which opened last month in central Seoul, deems itself as a city culture complex that introduces books and lifestyles. The bookstore has four themed sections: Daily, Weekend, Style and Inspiration. The themed sections provide related products. For instance, the Daily section’s theme is currently black tea. Along with related books, the section displays tea leaves and tea bags for sale. On Dec. 15, the bookstore bustled with visitors. While some lounged with books in hand, others photographed the well-decorated space. 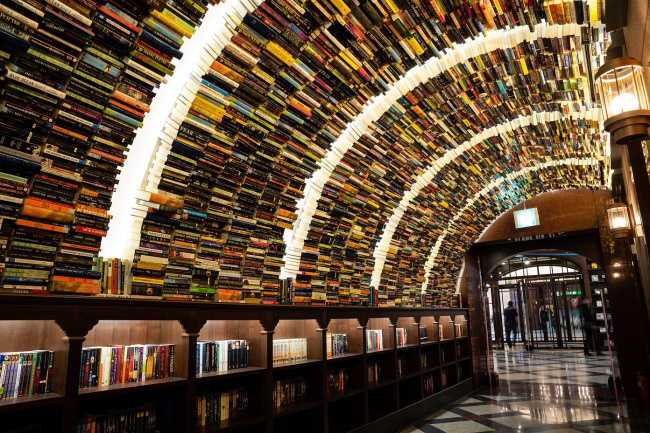 The “Harry Potter”-styled archway, a book tunnel, was the hottest photo spot. “We are strong in foreign books. Foreign-language books take up 7 percent of our books, while it is usually around 2 percent at other bookstores,” said Kim Ji-in, a representative from OTD Corp., which operates Arc N Book. “We have around 30,000 books, which may not be big compared to other bookstores. But we are more about curating special books that cannot be found easily,” Kim said. Looking at the crowded bookstore filled with people reading, taking photos or sharing quality time with friends, a question popped into mind: Do people really buy books here? You could just grab a book, sit on a comfortable sofa and read for hours. According to Arc N Book, sales have been steadily growing since its opening. With encouraging results, the corporation will open another bookstore in Seongsu-dong in eastern Seoul in January. The bookstore, however, aims to be about more than just sales. Another question: Does the popularity of such bookstores really mean the reading population is increasing? At Arc N Book, it is clear not everyone comes to read. Some lay not even a single finger on the books. “At least these kind of places make people actually go to bookstores. Without these places, people will not be exposed to books at all,” said an official from GimmYoung Publishers, a big player in the publishing industry here. “Though they might not buy books right away, they experience the reading culture and learn that people read for leisure. In the long run, they can become future consumers,” the official said. Though a similar bookstore, the atmosphere at Choi Ina Books is quite different from that of Arc N Book. It is much quieter, less crowded -- more of a library-like atmosphere. The bookstore in Seolleung, southern Seoul, is small in size but that doesn’t mean that its book curation ability is weak. Rather, it is all about professional curation here. In the publishing industry, Choi Ina Books is one of the most popular bookstores in Seoul. Choi, who retired as a copywriter at Cheil Worldwide, a major advertising firm in Korea, opened the bookstore to share her perspectives and inspirations with the wider public. Books in the curated section have been selected by Choi and professionals in the advertising industry. The books also come with handwritten cards that explain why the particular book was chosen and a simple profile of the recommender. Here, only purchased books can be brought into the in-store cafe upstairs. For those who don’t seek ownership, though, another reading space is available downstairs. It’s a library decorated like the private study of a well-cultured intellectual. The library can be used at a price of 14,000 won ($12.40) for an hour or 22,000 won for two hours. The price includes a cup of coffee and snacks. Though a bit pricey, the space is frequented by office workers in the area seeking some alone time during the day, according to the bookstore. Another example of this ilk could be the Hyundai Card libraries. 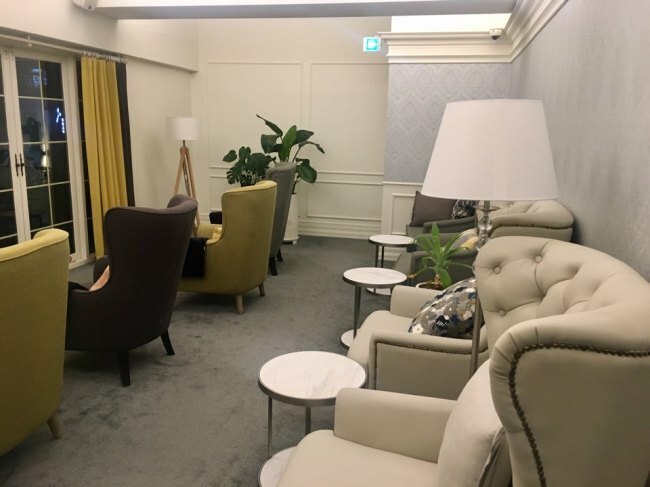 The credit card company currently operates four library-concept establishments across Seoul, each centered on different themes: cooking, travel, design and music. 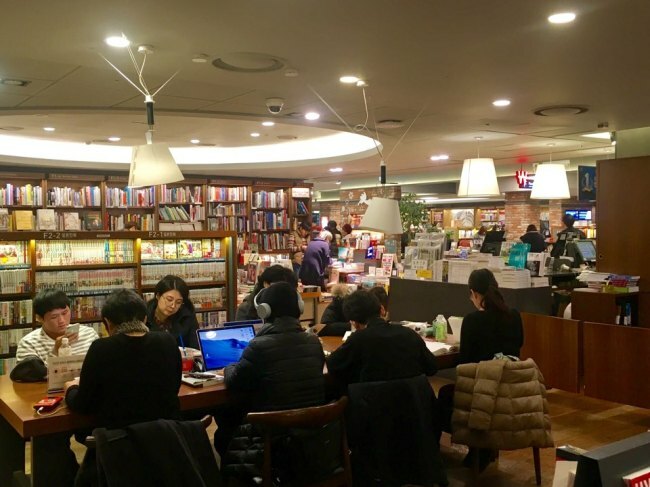 Built to be hubs of inspiration and thought in their respective fields, the establishments curate diverse books, including foreign specialty publications that cannot easily be found in Korea. They are open exclusively to Hyundai Card members. Though billed as libraries, the establishments neither lend books nor sell them. The books can only be read at the libraries, which also run various programs related to their respective themes. For instance, the Cooking Library runs cooking classes as well as self-cooking sessions. 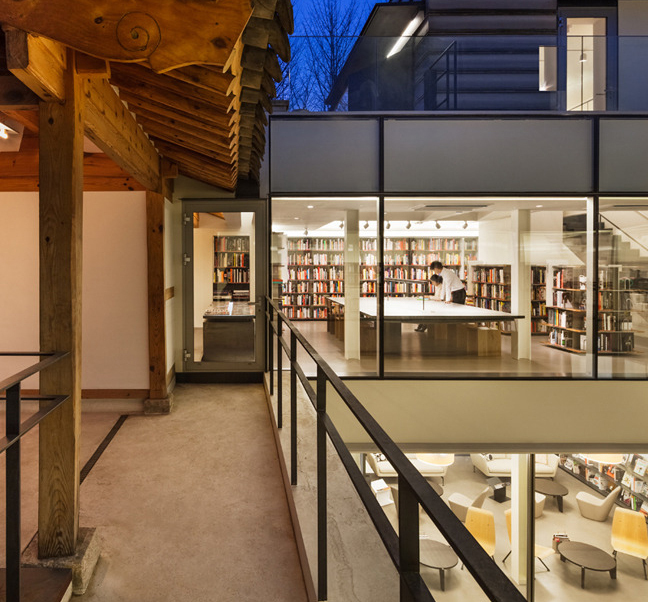 The Design Library and Travel Library offer talk sessions. At the Music Library, visitors can also learn to use the deejay booth.